Likely Republican presidential candidate Jeb Bush is meeting with coal bigwigs this week in a closed forum where he will deliver the keynote speech and meet with potential donors. The Coal & Investment Leadership Forum in Bristol, Virginia is off-limits to the press, but the invite-only, $7,500-per-ticket event gathers key figures in the fossil-fuel industry and grants them intimate access to the presidential hopeful. 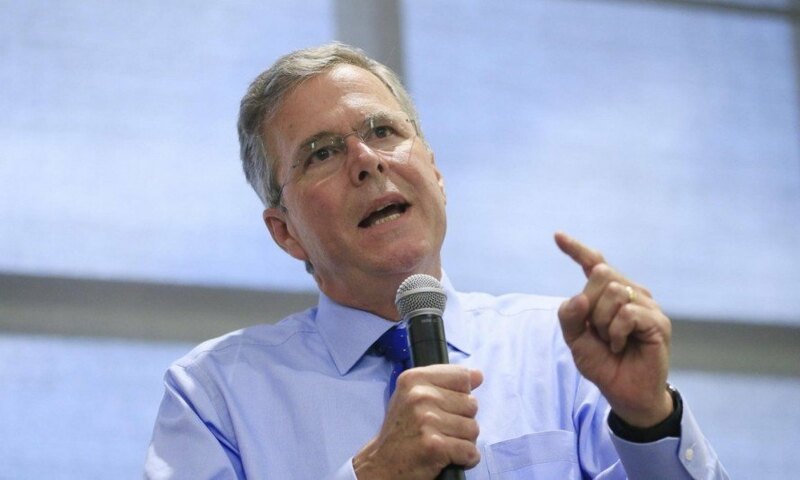 Started on Sunday and continuing through Tuesday, the Forum comes at a key moment for both Bush, who hopes to break through in a historically crowded Republican primary, and the coal industry, which is facing its biggest challenge yet from the Obama Administration. Former Governor of Florida Jeb Bush appears at the Coal & Investment Leadership Forum at the invitation of six executives and owners in the coal industry. The coal industry spent heavily in the 2012 elections, overwhelmingly in support of candidate Mitt Romney and the Republican Party. One executive, Joe Craft of Alliance Resource Partners, donated $4.4 million to Republican political action committees in the 2012 elections. Since 2012, the six companies have spent more than $17.4 million on campaigns and lobbying. The spending spree comes as Big Coal faces a threat from the EPA’s landmark climate change regulations. For the first time, coal plants will have to comply with EPA rules that intend to reduce greenhouse gas emissions under the Clean Air Act. The new regulations will make the construction of new coal-fired power plants unprofitable, putting further strain on an industry already in decline. Facing increased competition from natural gas and renewable energy, the coal industry is ferociously fighting the EPA and working to ensure that the next president is a friend of Big Coal. Despite once serving as the governor of a state on the front lines of sea level rise, Jeb Bush isn’t so sure about this climate change thing. “I don’t think the science is clear what percentage is man-made and what percentage is natural,” said Bush at a campaign event in New Hampshire. “It’s convoluted. And for the people to say the science is decided on, this is just really arrogant, to be honest with you.” The arrogance of dismissing the scientific community’s overwhelming conclusion that man-made climate change is occurring seems to escape Mr. Bush. The Forum won’t be all hard work. According to the invitation, “significant time will also be available for golf [and] fly fishing.” Forum participants better catch the big ones while they can. Scientists are concerned that fish will become smaller due to warmer waters from climate change. 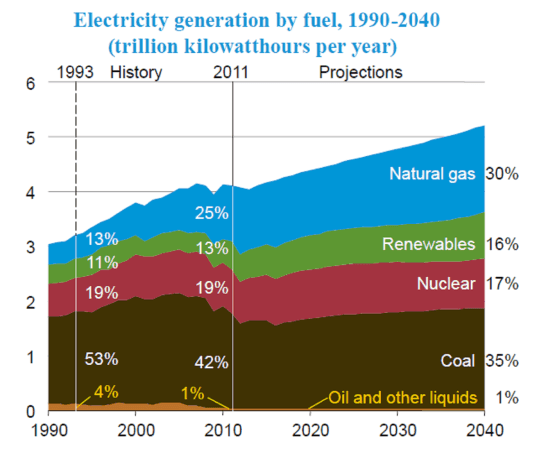 US Electricity Generation Outlook (EIA).